No matter what kind of PC you have, equipping it with proper cooling can make a shocking difference (not literally though; if it’s literally shocking you’ve messed something up… and probably the rest of your computer while you were at it). Top of the line hardware spits out tons of heat, especially if you are overclocking, and requires tons of airflow to keep it cool and running its best. On the lower end, additional cooling can allow you to turn up the clock frequency and squeeze all you can out of it. To help you get the most out of your hardware with improved cooling, we’ve rounded up the ten best case fans on the market– we even made sure to include representatives from all of the most common case fan sizes– and reviewed every one of them. 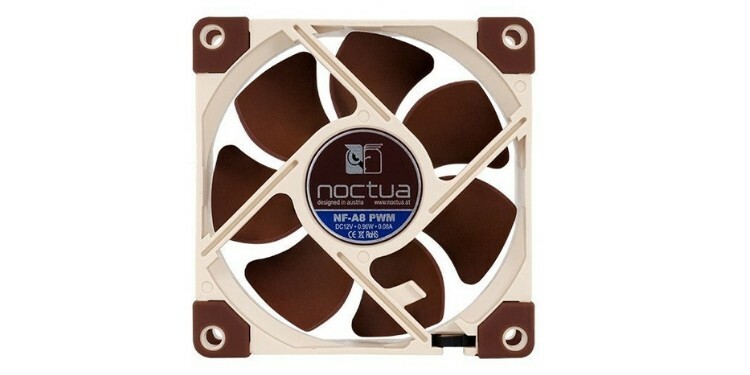 Noctua is an Austrian company that became known for their incredibly high performance and distinct looking fans. Originally, their meticulously designed fans were only available in a notoriously ugly two-tone brown color, making them only for those willing to sacrifice some of the “coolness” factor of their rig for maximum performance. Luckily, in recent years they released their redux line of fans that are amped up versions of the award-winning fans that earned them their reputation that also sports improved looks. 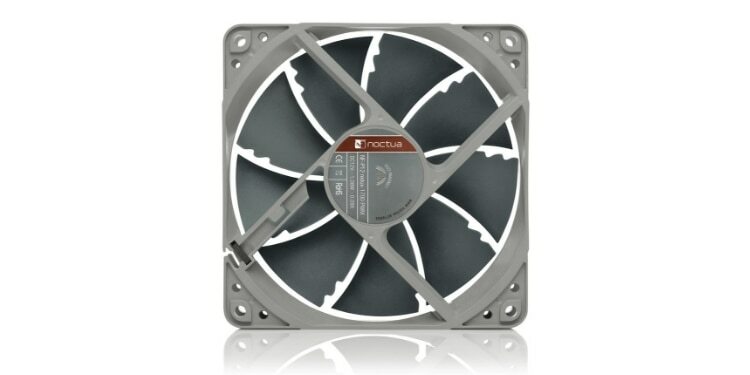 The Noctua NF-P12 redux is the best 120mm case fan on the market, and comes in a sleek grey color rather than the less suave brown Noctua is so known for. The Noctua NF-P12 redux sports impressive performance with 2.83mm H2O of static pressure and 70.7ft3/min of airflow at full throttle. This is sufficient static pressure to easily push air through even a very dense radiator, making these great as intake or exhaust fans for water-cooled computers. These fans also provide enough airflow to clear out even very large cases, especially when several are installed at once. Noctua also takes great care when engineering their fans that they are not only able to offer top of the line performance, but that they will also be as quiet as possible. These fans operate at a maximum noise level of 25.1dBA, which as you’ll see is not the quietest fan in our roundup, but is impressive for the performance. At this noise level, it would be very hard to notice the sound of the fans, especially since they will be operating at less than 100% most of the time thanks to their strong performance. To top it all off, these are some of the cheapest fans on our list. Noctua offers an incredible deal on these fans, and to get this kind of performance out of such an affordable fan is amazing. Sadly though, they do not offer RGB or any kind of lighting. Be quiet! is a company that always lives up to their name with their lineup of practically silent power supplies, heat sinks, and fans. The flagship of their fan lineup is the Silent Wings 3, which is by far the best computer fan for those who are looking for a low noise option. Often in applications like an entertainment center, the amount of noise a fan produces is the number one thing people look at. Often the computer found in these systems doesn’t run super hot so a powerful high-performance fan isn’t necessarily needed. This is the kind of system that the Silent Wings 3 excels in with its 16.4 dBA noise ceiling when running at full blast. Be quiet! achieved this using a number of engineering techniques including designing a rubber insulated frame to absorb vibrations and special fan blades that move smoothly and silently through the air at any speed. They also don’t spin nearly as quickly as many other fans, only reaching a max speed of 1450 RPM. For reference, 16.4 dBA is something that in most rooms would be impossible to notice and would even be drowned out by your own breathing. Despite the low RPM and silent operation, these fans still boast impressive performance. They move up to 50.5 ft3/min with a static pressure of 1.79mm H2O. All of these numbers are for the 120mm version, but they also offer a 140mm version, as well as some other options such as a high-speed variant for better performance (at the cost of slightly more noise). These days, no custom gaming machine is complete without the most important acronym in tech: RGB. If you’re in search of good case fans that can truly make your computer shine, then look no further than the Corsair LL120. These 120mm fans have two light loops-- one in the hub and one around the rim-- that have a combined total of 16 RGB LED lights. Each one of these lights can be individually controlled offering complete control over the look of the lights in your fan and the ability to create practically limitless combinations of colors. While the fans are sold individually, we suggest taking a look at the “starter pack” that Corsair offers. The pack comes with three fans in addition to a Lighting Node Pro. Each fan must be plugged into the Lighting Node, which acts as a hub and allows you to control the custom lighting through Corsair’s CUE software. 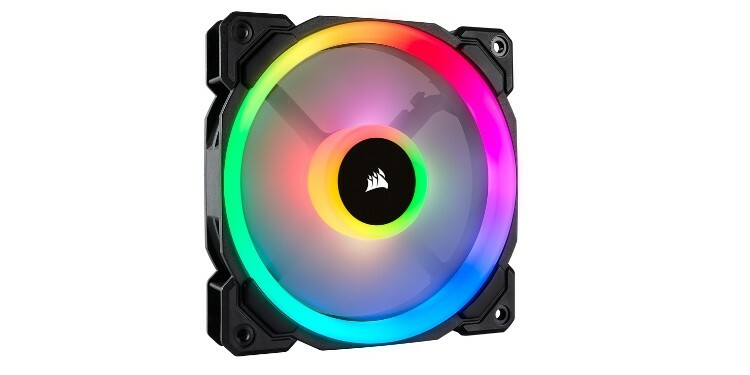 While the combo pack comes with an RGB hub, you will need to ensure you have one if you purchase these RGB fans individually, at least if you want to use them to their fullest. While the RGB in these fans is outstanding, they are no slouch when it comes to performance either. The fan runs at up to 1500 RPM and can push up to 43.3 ft3/min of air through your case. While this might not be the best on our list, it is certainly enough to clear the air out of a mid-tower or even super tower case fast enough to keep most hardware nice and cool. The LL120s also push air with 1.61mm H2O of static pressure, which is enough for most radiators. While 120mm case fans are pretty much the standard these days, there are other options, both smaller and larger. If you’ve got a big case and need to move as much air as possible through it, then you’ll probably need to be looking at the monstrous MegaFlow 200, which is the best 200mm case fan for keeping big cases cool. The huge proportions of this fan give it a number of advantages over smaller fans. For starters, this fan pushes an insane amount of air, 110 ft3/min to be exact. 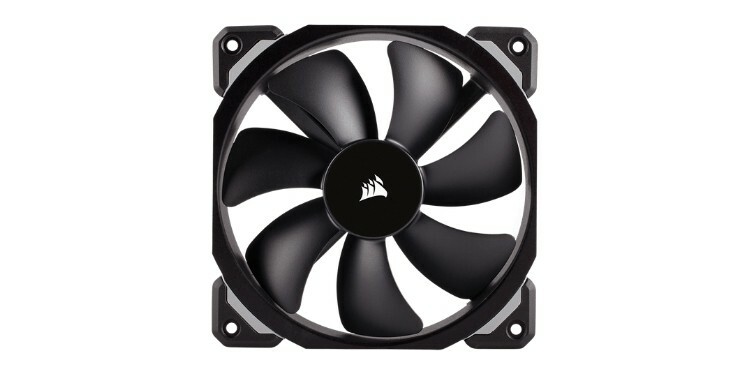 This allows you to keep even the hottest components cool in any case this fan will fit into. If your case has a tendency of accumulating heat causing temperatures to spiral out of control under sustained loads, then this is the fan you need to keep your hardware supplied with cool, fresh air. Its massive size allows (forces?) it to run at surprisingly low speeds. The maximum RPM of this fan is a meager 700RPM despite the insane airflow. This means the fan is incredibly quiet, measuring in at only 19 dBA. The downside to this fan is that it is not designed with any kind of radiators in mind since very few radiators are this big in the first place. Because of this it has very poor static pressure and does not push the air it moves with much force at all. This means that any obstructions including poorly managed cables or drive bays can interfere with the fan’s performance. As a final note, these fans are available in plain black or either red or blue LED light versions. As anyone who’s built a small form factor PC before knows, cooling is a big deal. Without sufficient airflow and cooling your hardware-- specifically your graphics card-- can quickly overheat and throttle itself. If you’re looking for a good way to avoid this, but your case can’t fit any huge fans, then we suggest you check out the Noctua NF-A8. As we mentioned with the first fan we looked at, Noctua is known for making high-performance fans in a rather unappealing two-tone brown design. Unlike the first Noctua fan, this one upholds both aspects of its legacy. That being said, the NF-A8 is easily the best 80mm case fan on the market today despite its dated looks. The fan uses anti-vibration mounts to reduce noise, which can often be an issue with smaller fans since they spin at a higher RPM. This fan, in particular, manages to keep the noise down to a whisper quiet 17.7 dBA even at its maximum speed of 2200RPM. This makes it another great pick for media center PCs. While the airflow is less than ideal, coming in at 32.7 ft3/min, the static pressure is very high at 2.37mm H2O. This is great for small cases where the fan will be pushing air through a much more confined space. Even without a radiator, small form factor cases often present fans with a challenge by requiring them to push the air around drive bays, messes of cables, and sometimes even a GPU heat sink in the way depending on the layout of your case. While most people who use their computer for pretty normal things like gaming or work will typically want a decent fan that is also very quiet some people-- like avid overclockers or even those who run servers or other serious hardware-- might not care about their fans being dainty quiet little workers. Instead, these people are after one thing: performance. If this sounds like you, then you’ll love the industrial strength fans that Noctua has to offer. The NF-A14 iPPC from Noctua is an industrial fan designed for use in servers or other similarly demanding environments where performance and reliability matter, and bothering people with noise doesn’t. This fan pushes a jaw-dropping 158.5 ft3/min of air, which is even more than the much larger MegaFlow 200 we looked at earlier. 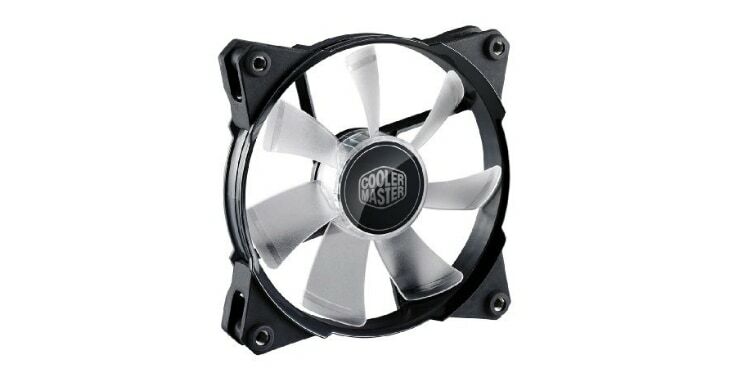 On top of the high airflow, these fans push the air with 10.52mm H2O of static pressure, which is literally an order of magnitude more than most of the other fans on this list. These specs make these hands down the best PC cooling fans on the market, however, there is a catch. To achieve this kind of performance these fans spin up to a maximum of 3000 RPM. At this speed, the fans are the loudest on our list at a pretty obnoxious 41.3 dBA of noise. While this is fine in a server room or while doing some benchmarking during overclocking sessions, most people do not want this much noise in their home. It's also worth briefly noting that these fans are also designed to be exceptionally durable thanks to their intended server room application. Servers need to be pretty much 100% reliable and need to have as much uptime as possible, so these fans are designed with a rugged fiberglass frame rather than plastic and are even IP52 water and dust resistant. Almost all fans on the market today use ball bearings. Ball bearings are a piece of simple technology that has been around for a long time and are used in everything from the simplest fans to the most advanced satellites in orbit. That being said, we’ve come a long way since the days of Sputnik, and today there are more advanced options when it comes to allowing one surface to glide over another. One of the interesting options when it comes to this is magnetic levitation, which is used in the Corsair ML120 Pro fans. As sci-fi as this term sounds, it’s actually pretty simple and works pretty much how you’d imagine it would. Magnets inside the hub push magnets in the fan itself to separate the two, then the motor can spin the fan. This reduces friction and offers a number of benefits. For one, the reduced friction means the fans can achieve pretty good performance with very little noise. A lot of the sound produced by fans comes from the friction within the ball bearings when they spin. Without this, you’re mostly just left with the noise produced by the fan blades themselves. These fans also sport a good lifespan thanks to the reduced friction. In most fans, the bearings are the first thing to go and they start making an abrasive noise before dying outright shortly thereafter. Unfortunately, Corsair didn’t take full advantage of this fact. They could have used specially designed blades like on the Silent Wings 3, but instead just opted for normal fan blades. This means this fan is louder than a lot of the other fans on this list. 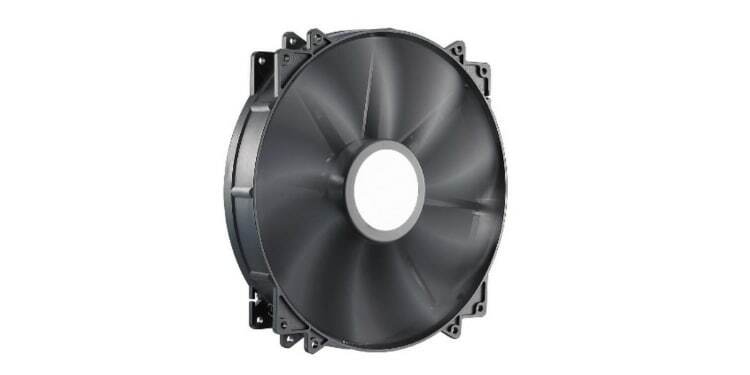 When it comes to performance, these fans are highly static pressure optimized. The 4.2mm H2O of static pressure make these excellent chassis fans for cooling case mounted radiators. Some days, you need a fan that can keep up with streaming and rendering workloads without melting your hardware. On other days, maybe you don’t have time for gaming and just need some peace and quiet to write a paper. If only there was a fan that could do both… well there is! The JetFlo 120 from Cooler Master is a decent fan on paper with solid static pressure and good airflow. While it’s not top of the line, it can certainly be used in most cases and would be a fine choice for mounting on radiators too. It is however, a little loud when running full bore. This can be mitigated using the included silent mode adapters. These adapters look something like little extension cables, and connect to your motherboard’s fan headers on one side and the fan itself on the other. These adapters step down the power being driven to the fan and limit the RPM they can rev up to. Each fan comes with two adapters. One can drop the RPM from 2000 to 1600. This obviously decreases the performance of the fans, but drop the noise level significantly from 36 dBA to 28 dBA. The second makes an even more significant drop bringing the speed all the way down to 1200 RPM and the noise level to a practically silent 19 dBA. If you plan to fill your case with RGB lighting and fans, then you’ll need a good hub to power all of it. Luckily, this kit from Thermaltake will get you well on your way. The Riing Plus 12 kit comes with five of their LED lit fans, along with a very high quality hub to control all of the RGB in the fans with room for future expansion. Each one of the Riing fans has 12 individually addressable RGB zones that can be controlled in software either on your PC, or on your phone. This lets you combine colors in any way you want to make awesome color combinations. The fans perform decently and have enough static pressure to be mounted to a radiator, and even have better airflow than the Corsair LL series fans we looked at earlier. That being said, they are a tiny bit louder than the Corsair option. The included hub can be daisy chained for future expansions, with compatibility for up to 16 hubs. This means you could control up to 80 separate fans and RGB strips, which should be enough for even the most adamant lighting/fan enthusiasts. 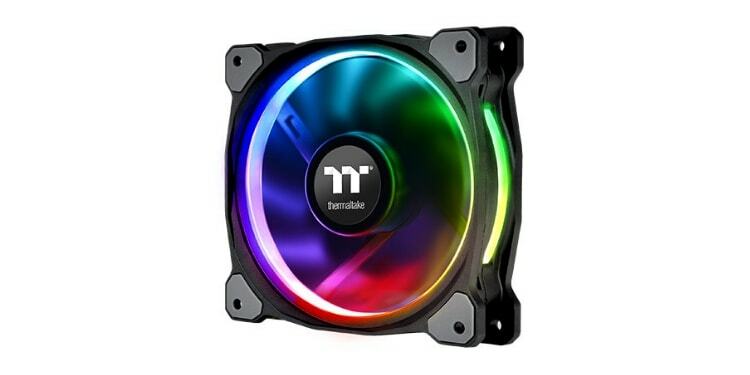 If you’re saving up for a big upcoming title or Steam sale, but you NEED some RGB fans in your life, then we have just the thing. 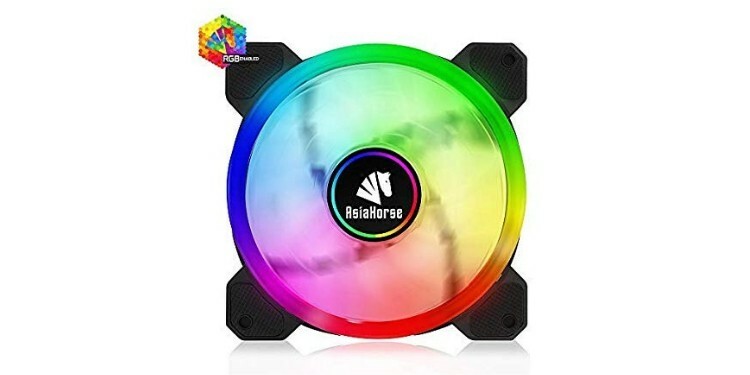 Asiahorse makes some affordable, and surprisingly good looking RGB fans called the UFO2. While they are affordable, there are some obvious trade offs. For one, these fans are by no means high performance. They feature some pretty meager specs, and don’t push very much air. Also, unlike the other RGB fans we’ve looked at, these are not controlled through a software. They use a remote control that cycles through a predetermined selection of colors and patterns. That being said, the remote is super easy to use and the color options are actually impressively vibrant. On top of that, there are over 100 pre-programmed patterns to choose from. While many people think that RPM is the end all be all of determining how a fan will perform, this is far from the truth. In actuality, RPM is a very small piece of the picture, and there are three things you should be paying close attention to when shopping for case fans. Obviously, you need to know what size fans will fit in your case when on the hunt for new ones, but the three things that tell you the most about the performance of a fan are: airflow, static pressure, and noise level. The importance of airflow should be readily apparent when it comes to fans. The whole purpose of fans is to move fresh air into the case, and warm air out. Airflow is a measurement of how quickly a fan can actually achieve this and is measured in cubic feet per minute, or ft3/min. Every case varies in internal volume, but the average mid tower case has an internal volume of around 1.5 cubic feet. The quicker you can replenish this internal volume, the better off your hardware will be. Generally, larger fans are the best airflow fans. A huge 200mm fan like the MegaFlow 200 can move an impressive amount of air without much effort. It can easily feed your hardware with fresh air while running at a measly 700RPM maintaining nearly silent operation. Even better than that is the NF-A14 iPPC. This fan is smaller, but has an incredible 158.5 ft3/min of airflow. It achieves this by running at a very high RPM, and produces a lot of noise because of this. This fan can move the entire internal volume of most cases in a mere sixth of a second. The next thing to look at is static pressure. This is a measure of how hard the fan blows the air and is measured in mm H2O. This is important because in some situations fans are not just blowing air into a case, but are restricted in some way. The most common example of this is with radiators used for water cooling, but this can also come in smaller cases where cables and drive bays may be in the path of airflow. If you have a water cooling setup and are looking for the best fan to force air through the dense radiator fins, then we recommend you check out the NF-P12 redux. While it’s not the absolute highest static pressure fan on our list, it has enough pressure to drive air through even very dense radiators, as well as a good balance of airflow to offer optimal cooling. On top of that this fan is impressively quiet. In general, fans with over 1.5mm H2O are ideal for water cooling, while anything less will begin to struggle when pushing against radiator fins. 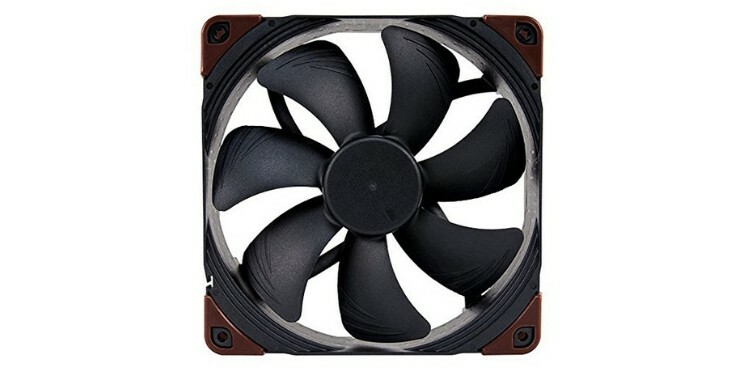 If you’re looking for silent case fans, then you’ll be looking at how many decibel, or dBA, the fans produce. 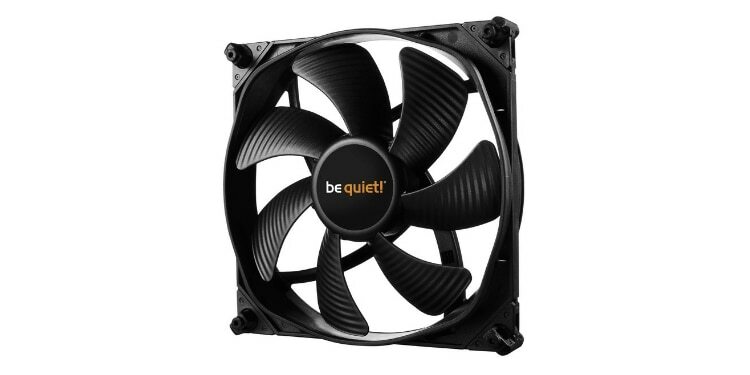 Generally, fans designed to be more quiet will run at slightly lower RPM and will have slightly lower performance than fans that don’t emphasize quiet operation. This is not so much the case with the be quiet! Silent Wings 3. These fans are incredibly quiet, and also sport excellent performance. These fans produce a mere 16.4 dBA at full blast, which is hardly noticeable in most conditions. In fact, almost all of the fans on this list are very quiet. For reference, the average library comes in at around 30 dBA, and most homes in the suburbs have an average ambient noise level of around 40 dBA. With that in mind, very few of the fans on our list get loud enough to be obnoxious. Writing until my tendons hurt, overclocking until my CPU melts, and gaming until the sun comes up. Trying to become a cyber-renaissance man. Somewhere between Hideo Kojima and Linus Tech Tips. What Is The Best Tempered Glass PC Case In 2019? Best Z390 Motherboard For 2019: Overclocking, RGB, and more! We’ve got your back! PCGuide is a completely free website 100% focused on helping you find the best PC hardware for your need. Our number one priority is you. That’s why we share things like how we make money and uphold editorial guidelines to ensure integrity. And we do it all so you can enjoy our tools, advice, and recommendations, with clarity and confidence. PCGuide.com is a participant in the Amazon Services LLC Associates Program, an affiliate advertising program designed to provide a means for sites to earn advertising fees by advertising and linking to Amazon.com. Additionally, PCGuide.com participates in various other affiliate programs, and we sometimes get a commission through purchases made through our links.